Certified Pre-Owned Home. Fewer surprises. More peace of mind. Fewer surprises. More peace of mind. Here’s How HouseCheck’s Professional “Seal of Approval” Helps Sellers, Buyers and Agents! Whether you are selling a home…buying a home…or you are a real estate agent handling a transaction…everyone wants a smooth, stress-free experience. Fortunately, HouseCheck has a solution we all like: Our Certified Pre-Owned Home Program. With the Certified approach, the house is inspected and approved before it goes on the market. It starts with a thorough pre-market house inspection. Following the inspection, the home owner corrects any major deficiencies to the home’s key systems and appliances. Once the repairs are finished, HouseCheck reinspects the home to assure the repairs have been properly completed. Finally, we cover the house with a one-year warranty. A HouseCheck Certified Pre-Owned Home delivers huge benefits to sellers…buyers…and real estate agents! Encourages offers. Inspecting the home and covering it with a warranty before putting it on the market removes buyer concerns and leads to of-fers. Easier Negotiations – The earlier in the sales process negotiations take place, the more predictable the process is for everyone. Increased chance for success – Issues found during the inspection period are the #1 reason for transaction failure and can result in stress, lost time and lost value. The HouseCheck Certification sets the stage for a positive outcome. Enhanced Marketability – A HouseCheck Certified Pre-Owned Home allows your home to stand out from the crowd. It communicates your home’s value to buyers and provides peace of mind with a one-year home warranty. Simplified Process – The HouseCheck Certified Pre-Owned Home process reduces stress, eliminates complexity and allows you to focus on moving forward. Protect a big investment – Buying a house is a big deal! Buyers want to know the true condition of the home. The owner of a HouseCheck Certified Pre-Owned home had the foresight to conduct an inspection and fix any major problems before putting the house on the market, while also electing to purchase a one-year home warranty that on behalf of the buyer. Breathe a sigh of relief – The HouseCheck certification gives home buyers added assurance that you’re not buying a house full of hidden problems. This provides greater peace of mind and helps relieve the stress of finding and buying a home. 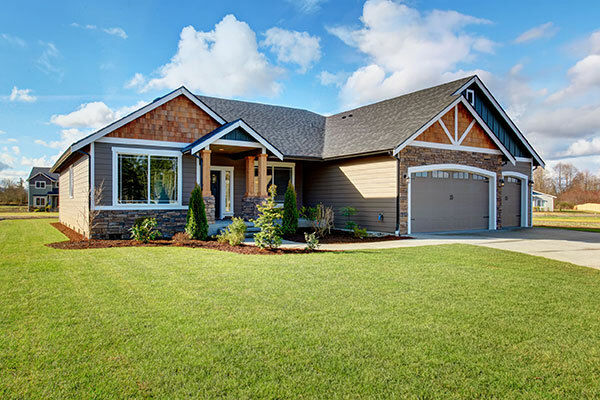 A more predictable path– Whether you are representing the seller, the buyer, or both, the last thing you want is an unpleasant surprise — one that can be avoided with a Certified Pre-Owned Home. Reduced Transaction Failure – Knowing the condition of the home, agents deal with fewer mid-transaction surprises. The negotiating process is likely to be smoother. And there’s less likelihood that a transaction will fail. Let’s HouseCheck’s “Seal of Approval” help seal the deal on your transaction. Contact HouseCheck (click below) and learn how our Certified Pre-Owned Home Program builds confidence, reduces stress and gives all parties a better opportunity for success. See what broker / agent’s are saying about HouseCheck’s Certified Pre-Owned Home Program! HouseCheck’s Certified Pre-Owned Home program has been an absolutely invaluable resource to me. For one thing, I pay for the inspection and the warranty, which comprises the Certified Pre-Owned Program. As a Realtor, it’s been totally helpful to secure a deal by showing my clients that I put some skin in the game. The HouseCheck system, the Certified Pre-Owned Program, it’s a better way to do it; it’s a better Program, it’s a better way to do it; it’s a better way to conduct inspections. To have the inspection at the beginning of the process to fully disclose everything that might be wrong with the house, or to give the sellers the opportunity to correct any issues with the house, so that they can get top dollar for their home. Say in the case of a, maybe a million dollar home that’s hard to sell, which was my experience. Having a warranty up front, a home inspection, with its own satisfaction guarantees, was really instrumental in being able to sell the home. And it was really great protection for my clients. There is a lot of reasons why I use HouseCheck. I like the fact that they have a lot of inspectors that are available, and I can go online and see that availability right away when I’m looking to schedule an inspection. The reports are easy to read and understand. They color code the issues between what they feel is very important and what is something just to make note of, and they get the reports back to me very quickly. A lot of sales can fall through based on those professionals, and I always know that HouseCheck is going to do a good inspection. They communicate with my buyers and my sellers if I’m doing a pre-home inspection, and they make sure that, that part of the process goes through very smoothly.